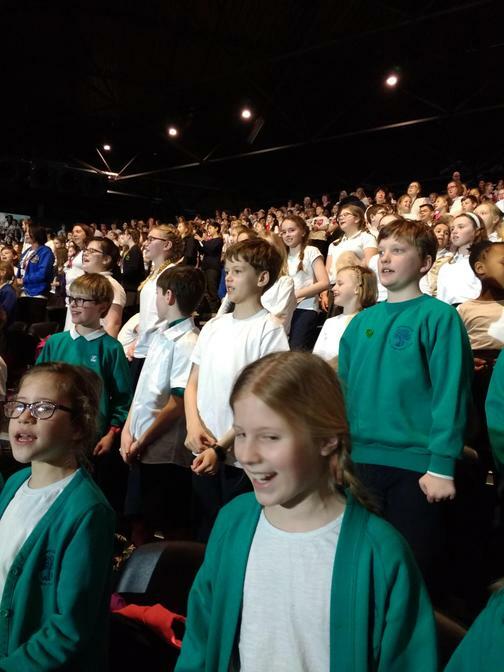 On Monday 21st January 2019 our choir took part in a very exciting singing event at the NEC, Birmingham. Mrs Ferm has been helping the choir to learn all of the songs since September. 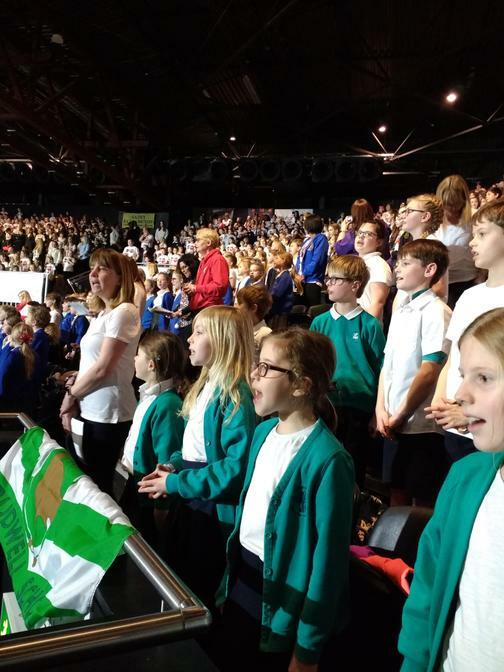 Although it was a very long day – we didn’t get back to school until 11.00pm – the children had a fabulous time singing with 6,500 other primary school children in front of a packed audience. 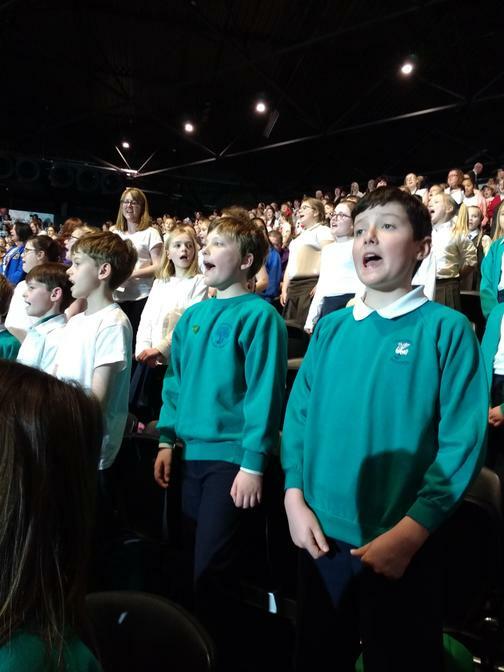 Sadly, this will be Mrs Ferm’s last Young Voices visit with us, as she has decided that it is time for her to concentrate on her music teaching and explore other opportunities outside of school. Mrs Ferm will leave at February half term. She will certainly be missed, and although we are advertising her post at the moment I doubt her successor will be able to ‘Yea ha!’ with quite the same style – if you don’t know what I mean, ask your child!